The attention span of a squirrel is one second. 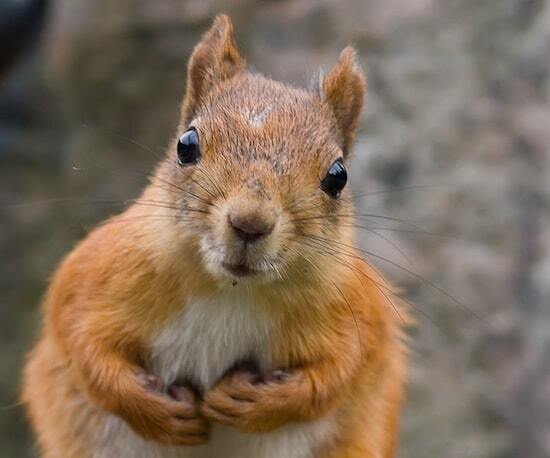 The attention span of a squirrel focusing on an acorn is 4 minutes, a huge increase! We’ll discuss acorns later (trust me, acorns are relevant to our conversation! ), but first let’s look at how attention span impacts marketing and sales. Did you know that radio ads used to be 60 seconds long? Then radio ads became 30 seconds long, then 15 seconds, and now, there are many five second radio ads. TV ads have followed the same pattern. When they were first aired in 1971, television ads were 60 seconds long. Today, the standard length is 30 seconds and there are even shorter ads. I’ve been thinking more about this topic after talking to other entrepreneurs building online startups and to small business owners looking to improve their websites. With very few exceptions, the landing and marketing pages for these startups and small businesses are packed with too much content and too many distractions. Every extra word or graphical image on a page increases the “noise” on that page and impacts the attention of the user browsing that page. Here’s why you should care: the attention span of a human adult, according to BBC News, is 9 seconds (the Associated Press reports that in 2012, the average attention span for a human was 8 seconds). Nearly one fifth of all page views in 2012 lasted fewer than four seconds. And to add fuel to the fire, people read only approximately half of the words on a web page that has fewer than 111 words (and only 28% of the words on a web page that has more than 593 words). If you’re still reading, then you’ve obviously decided that this content had some value and was worth your time. In my own experience and in observing other users, I see three distinct attention span periods: passive, focused and active. Passive attention lasts only a few seconds for the typical user. In that time, the user decides whether the page they’re reading or viewing is sufficiently interesting or relevant for them to keep looking/reading further. The vast majority of online pages fail to keep the user’s attention – that’s why page abandonment rates are so high. When you visit the crowdSPRING site, can you easily tell what we do? When a user first visits one of your pages, is it clear right away what services or products you sell? 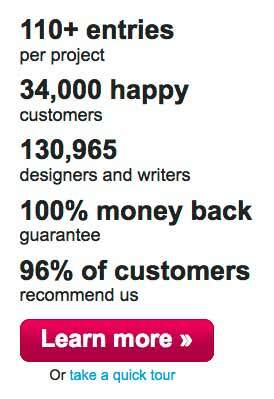 Do you make the user read a lot of content to figure out what you’re selling? Focused attention lasts for another five to ten seconds, as the user takes in more information and decides whether they will invest more of their time on the page – or browse other pages on the site. During this phase, the user scans the page – they don’t read it. If your page manages to catch the user’s interest during this phase, odds are pretty good they’ll stick around for a longer period. Active attention lasts anywhere from a few minutes to hours – once a user decides to invest time in reading/looking further, they’ll often do so for some period of time, devoting their full or nearly full attention to the task. Set appropriate expectations in prior content/interfaces. For example, if the landing page is shown after a user clicks on a text ad in AdWords or an online banner ad, make sure that the calls to action or ad copy is properly reflected in the content on the landing page. Keep the content short, succinct, and clear. Confusing interfaces, too many words on a page, too many colors, etc. create a lot of noise and make it very difficult for the user to commit to spend more time on the page. Remember that less than 20% of the text content is actually read on an average web page. Make sure your page loads quickly. Thirty-two percent of consumers abandon slow sites after one to five seconds. Use headlines where appropriate (emphasize/bold words of phrases). Your goal is to help people make a decision to invest more time on the page. Provide a clear organizational hierarchy to the content on the page. Keep similar types of content near each other so that the user can quickly understand the visual architecture of your page. Keep the content focused – avoid the temptation of saying too much – every extra word creates noise and a barrier to get the user to stay and read further. Take a look at your company’s homepage or key marketing or sales landing pages. How quickly do the pages load? Page speed is extremely important if you want to keep users on your site. How many words do you have on those pages? Can a normal user understand your messaging and what you’re selling in only two seconds? Can you get them interested enough in that short time span to encourage them to read further? I promised we’d get back to acorns. Remember that a squirrel’s attention span is very short. But an acorn can hold a squirrel’s attention for four minutes. Look again at your company’s homepage or key marketing or sales landing pages. Is there one element (a graphic, video, or short piece of content) that is sufficiently interesting and clearly visible, that will keep the users on that page? If you don’t have an “acorn”, find one.